Equine therapy at Clover Haven was a valuable experience for our son, Isaac. Isaac, who has been diagnosed with autism, was seven when he had his first series of therapy sessions. Within a just a few sessions we saw a great leap in his language. He began using words, phrases and expressing concepts that were new and more advanced. The best part was that they were not scripted. They came from his own creative thoughts not from a video he had memorized. He is eight now and just completed another series of therapy sessions and again I have heard new expression and verbalization of his thoughts. So glad we found this therapy. 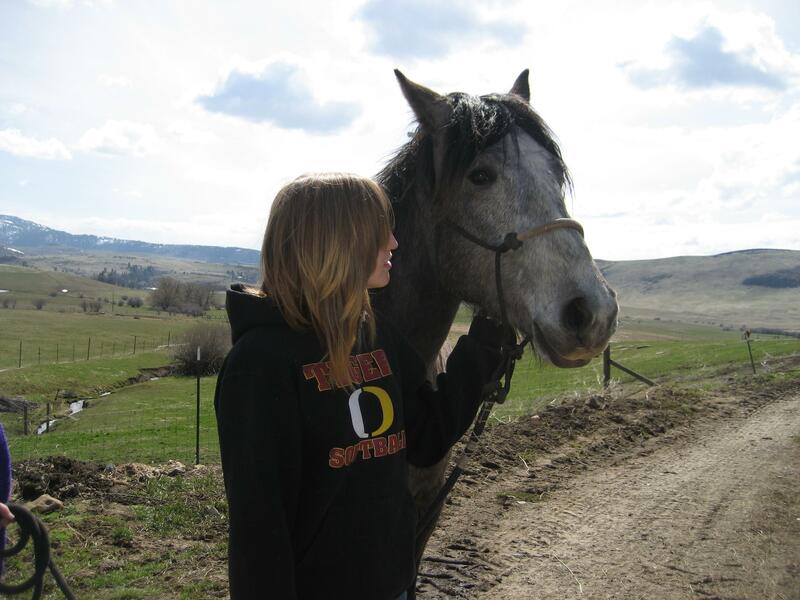 Our daughter, Sophia, benefited greatly from equine therapy at Clover Haven. Sophie, who has been diagnosed with autism, was eight when she started her first equine therapy sessions. She exhibited a dramatic turnaround in her behavior. She was having difficulty complying with requests from both her speech therapist and her tutor. Within just one or two therapy sessions she became compliant and cooperative with both her tutor’s and her speech therapist’s requests. We saw improvement in her behavior at home as well. It was an unexpected and wonderful thing for both our daughter and those who are invested in helping her advance her skills and development. As a mom it was a great blessing because my daughter came home pleased and happy from her learning appointments instead of sad and out of sorts. Well worth the investment. On March 25th I began a journey with Clover Haven through which I gained much more than I had thought possible. I have always had a connection with horses having grown up with horses and more recently treating injured horses. When “I met the herd” spending time in Silence with Gi Gi, Segrid and Dak I never realized that my lifelong questions would be answered so simply. Gi Gi spoke to me of living life in the fullness of Love, Dak taught me the joy of leadership and how to be a leader without losing myself and in so doing, being authentic. Segrid brought to me an understanding of liberation of Self through the seeing through the eyes of God, through discernment and through being humbled. I felt supported by the entire team at Clover Haven. We shared my journey together and they witnessed to their own journeys. I give thanks to our God and Creator through Christ for this opportunity that has lifted me beyond any expectation I could have had. Clover Haven – When I hear the name of this wonderful establishment it gives me an overwhelming feeling of joy, passion, and love. Last spring my daughter, who is 7 years old and is diagnosed with Athetoid Spastic Cerebral Palsy, was given an opportunity of a life time, through a scholarship, to participate in Clover Haven’s therapeutic horseback riding program. For my daughter, this was a dream come true. She loves horses and would love one of her own one day. She is a cowgirl through and through. This program not only was fun and exciting for her, it was also very physically therapeutic as well. My daughter’s legs are already, at seven years old, starting to become contracted at a 90 degree angle from sitting in her wheelchair for most of the day. As she continued to participate in the therapeutic riding, I slowly watched her legs get closer and closer to the stirrups. Watching this type of progress is phenomenal for a parent, especially when their child fights the daily stretches to help keep these muscles loose. I have also seen her gain strength in her core muscles as she learned to sit up a little straighter each riding session. I hope to try to keep her doing at least one session of therapeutic riding a year. It has not only benefited her physically but emotionally as well, and it’s one of her passions to be able to ride. My little girl does not ride alone. You see, she has two sidewalkers and a leader in order for it to be possible for her to ride. I am so very thankful for all the loving hearts that manage, volunteer, and run Clover Haven. Without the love and passion they have to create such a little piece of heaven for our children, my daughter would not have the opportunity to be the cowgirl she really is. I could not thank those who run this program enough for all the joy they have brought to my little girl’s life by just giving her the experience to be able to ride while she can. When I asked my daughter to share about her experiences at Clover Haven for this meeting, at first she was quiet and felt shy. I know this was because it was such a personal and profound experience for her. She really enjoyed her time with the horses and learning about horses and working with Ruthi and other staff members. Her time in Life and Liberty was a special personal time for her. The communication between us was better after the program. She was able to talk about her feelings and was better able to solve problems instead of getting angry. She really had a big boost to her self-confidence and self-esteem. She really loved Horse Crazy Camp and grew lot from her intereactions with the horses and other kids. Now she doesn’t run and hide like she used to and will tell me when she needs space and doesn’t want to talk about something.